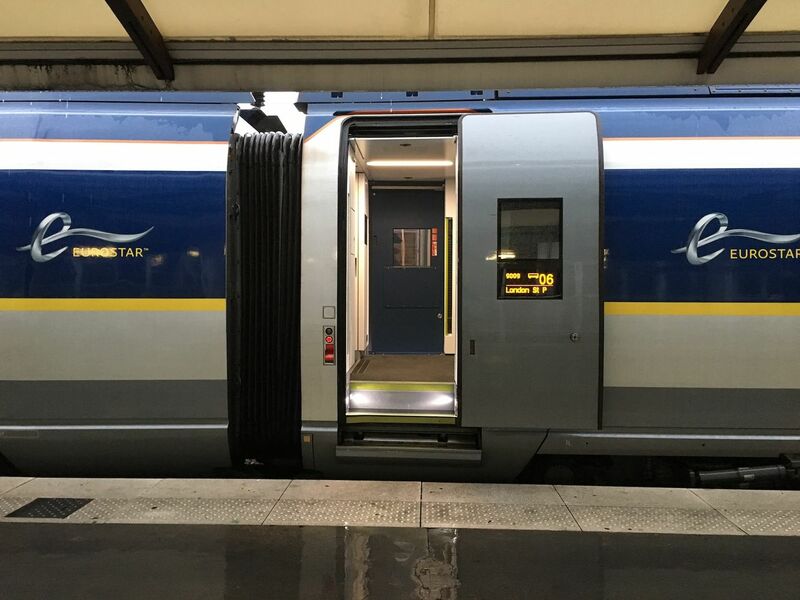 On a Monday morning in July, I boarded a train for my first visit to the UK! Yes, that’s right, I traveled most of continental Europe before ever setting foot in the country which shares my language. 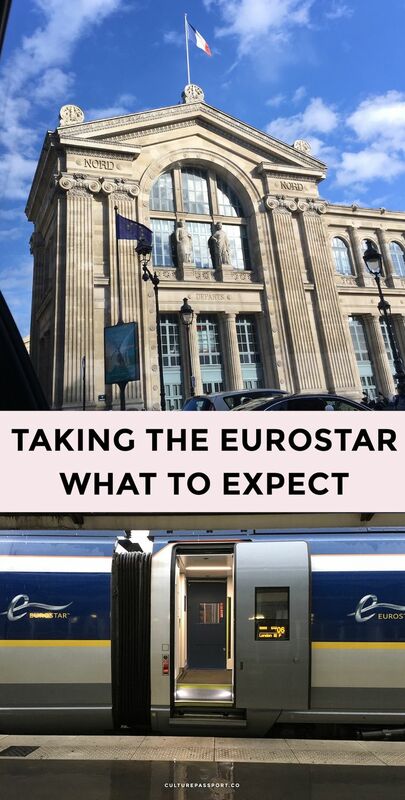 I was excited to explore London but first I had to take the Eurostar train to get there! 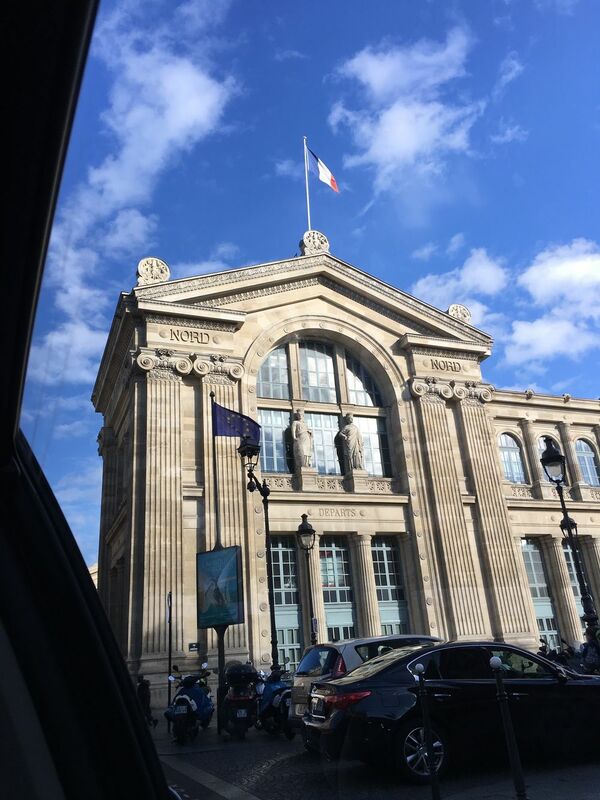 Upon arriving to Gare du Nord, I had to go up to the second level to check in for my train. It’s recommended to arrive around 45 minutes ahead of your train departure, so that’s what I did. However, when I arrived, there was quite a long line of people already waiting to take the escalator up, which there was nothing I could do about. Looking back, I probably could have gotten a coffee and croissant instead of waiting there because there’s no way the train would leave without all those people! While waiting in line I heard an announcement saying that if you are not a European citizen you need to fill out an Immigration Card before speaking with the border agents. 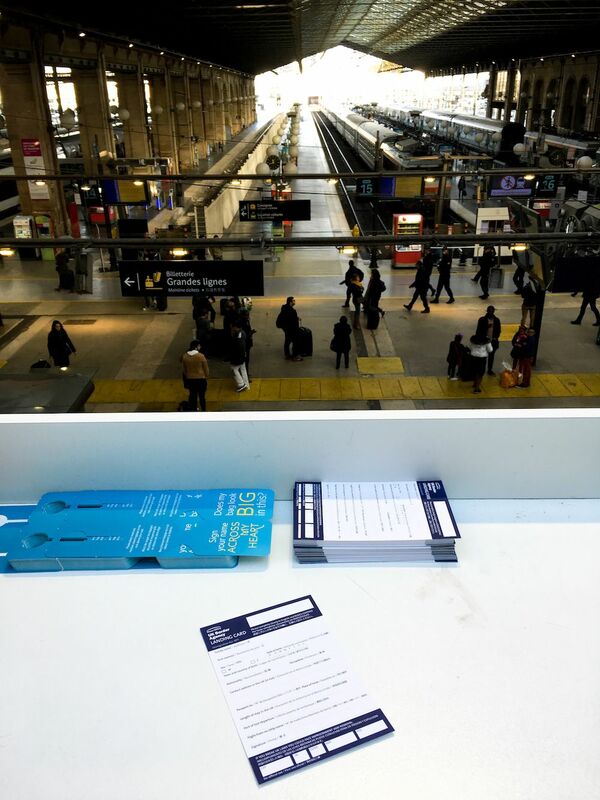 I walked to the Eurostar desk and saw plenty of Immigration Cards but no pens. I continued along the edge until I found a pen to fill out the form. It asked for pretty basic information, nothing crazy. At that point, I waited some more until we were finally allowed to move. 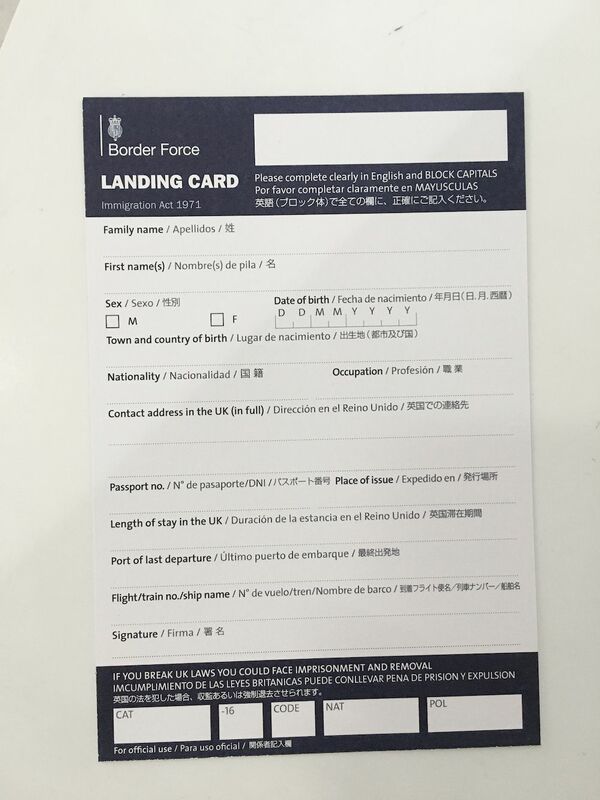 First off, you have to scan the barcode of your ticket to get to the Passport control lines. At this point, it’s pretty similar to the airport. There is one area to the left for “Citizens” which wasn’t exactly clear if they meant French citizens of UK citizens, but I’d assume the latter, and there is another area to the right for “All Passports.” I waited in this line again until it was my turn. The French border agent barely greeted me; he just stamped my passport with an outgoing Schengen Zone stamp. Here is where things get a little different than an airport experience. Typically, you go through exit customs, take your plane, and then meet the border agent in your country of arrival. 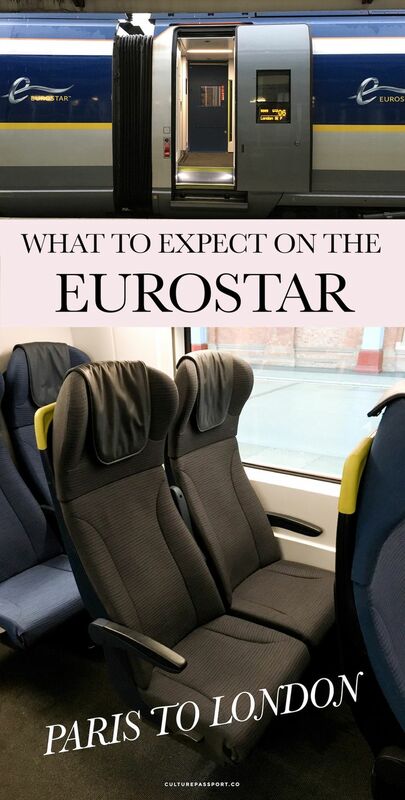 However, when taking the Eurostar, you meet both “sides” (your departure country and your arrival country) one right after the other, before boarding the train. 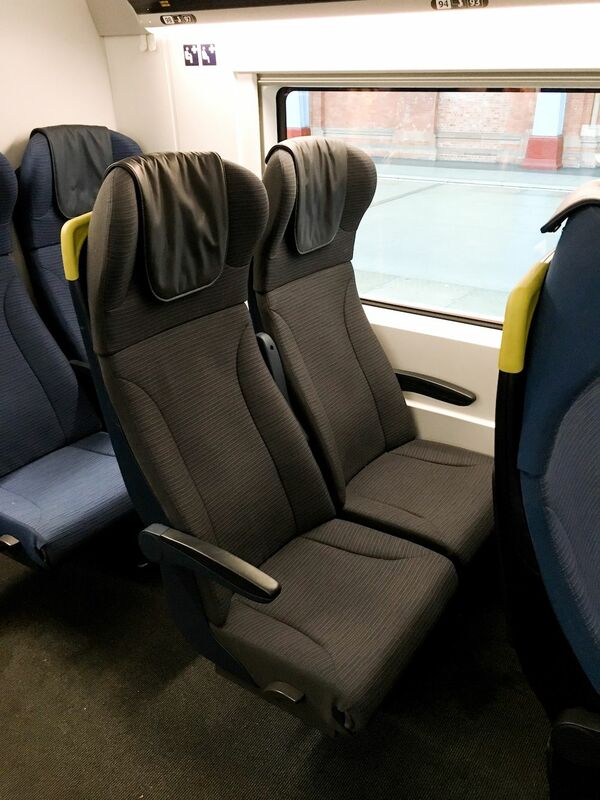 If you don’t make it through UK border control, you don’t get on the train at all. I got into another line to speak to the UK border agents. The first agent I approached said “European passports only” which was strange because that wasn’t marked anywhere, so I had to go to the next agent. The woman spoke to me in a foreign accent, which was vaguely British and took my passport and my Immigration Card. She confirmed I was going to the UK for one day and I said yes. She asked what I was doing in London. I said I was visiting friends. She then asked “What are you doing over here?” and I said I’m in Paris for the summer to learn French, even though I already speak French, because I was quite caught off guard by the question! 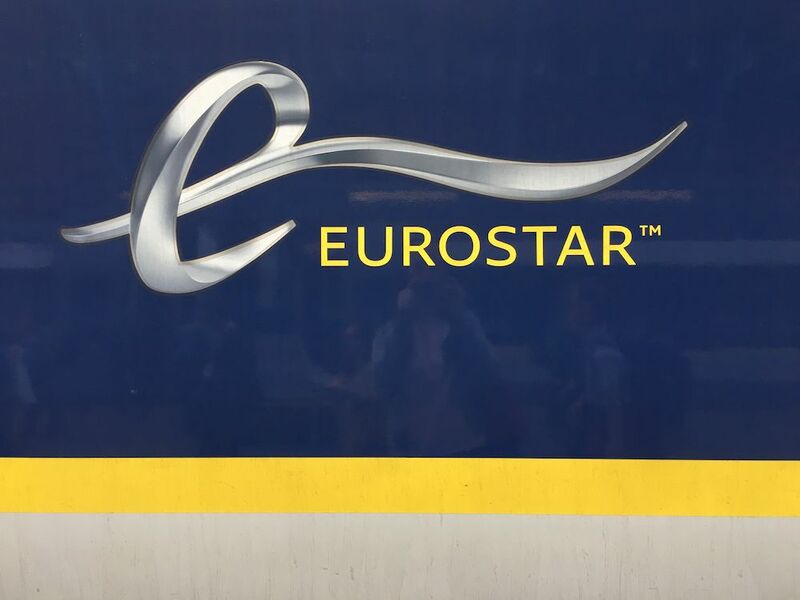 She stamped my Passport and off I went to board the train. It was pouring rain outside on this morning, but most of the platform along the train tracks is covered. 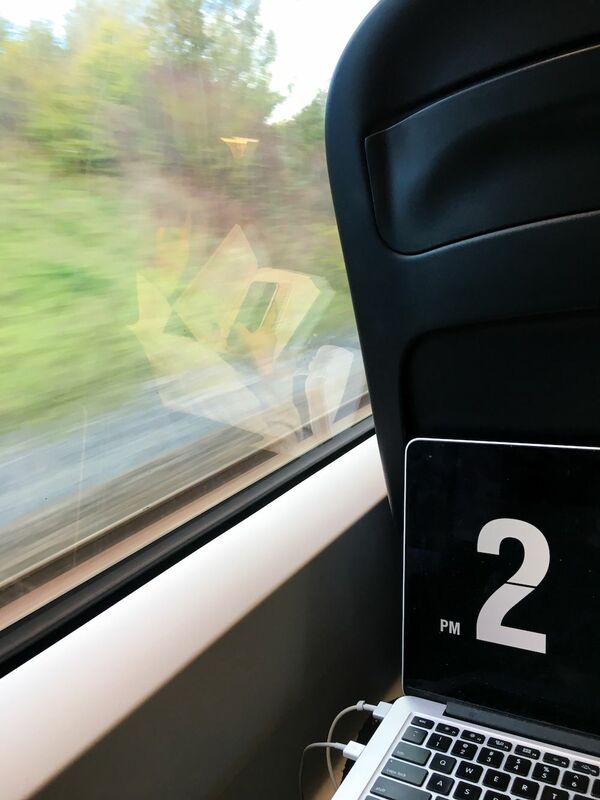 I boarded the train, and they made an announcement that the train would be departing 30 minutes later than schedule due to the “large volume” of travelers. At around 8:15, we finally left the station! We zoomed through the countryside of France, and before I knew it we were entering a dark tunnel to cross the English channel to the UK. We were underground for all of 20 minutes or so before daylight emerged again. 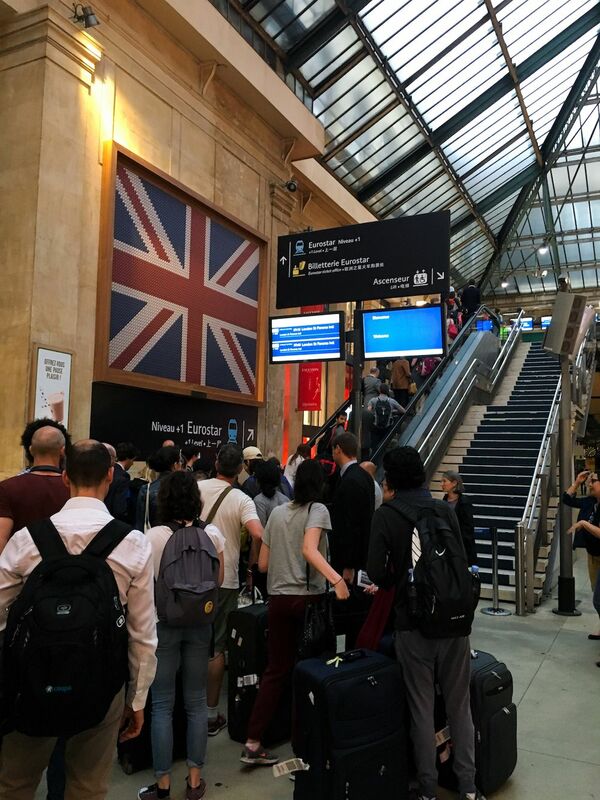 Arriving in London was super easy, since we already went through the “border” in France. I simply got off the train and was out on the streets of London in a matter of minutes!